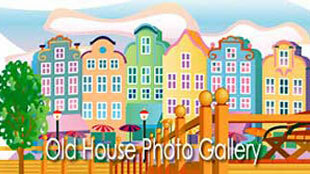 A photo gallery for those who love to live in old houses or want to invest in one. Pictures of old houses and interior pictures are helpful to homeowners who are ready to design, renovate, and remodel an older home to add extra space that matches the style of the original building. It must be noted that not all remodeled old houses are successful, artistically or financially, and the utmost of comfort is not always secured by renovating an old house. 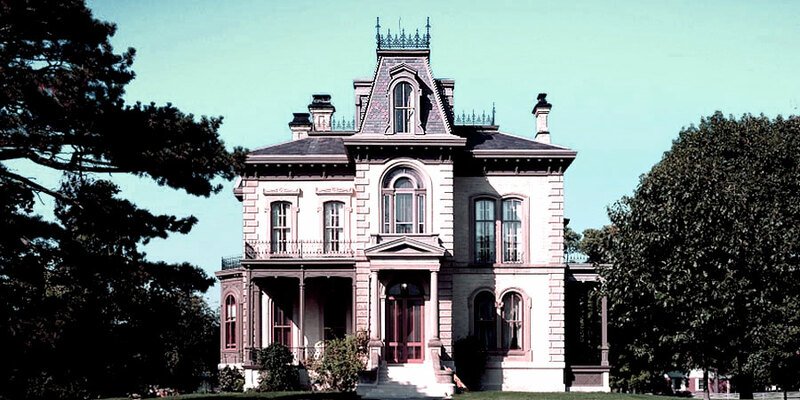 Find Victorian house pictures and interior pictures of old houses from the 1800s and early 1900s including modest Victorian houses built by working-class people. 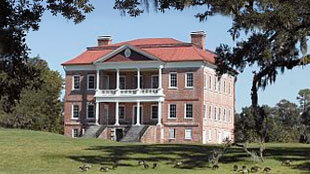 Find historic houses and old mansions to view both exterior and interior pictures. 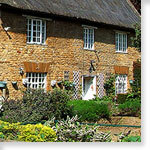 Take your garden design to the next level with small garden pictures, garden plans and online garden design tools. 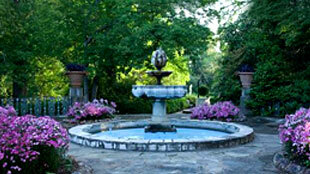 See beautiful rose gardens with rose garden plans. 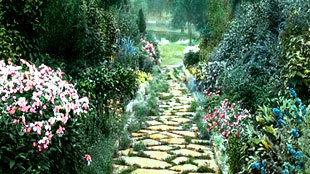 Pictures of rock gardens, cottage gardens, Victorian gardens and Japanese gardens. Interior pictures of old houses will inspire homeowners to decorate with the latest decorating and design trends for their home while still maintaining the integrity of the old house. 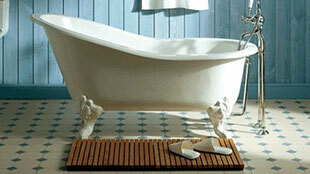 Browse through wonderful pictures of bathrooms, living rooms and bedrooms. Sometimes an owner plunges into his remodeling operations without due consideration of cost. 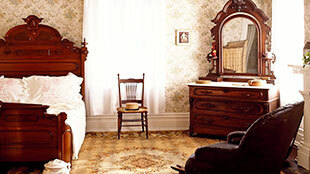 Frequently the old house is so peculiarly arranged that it does not lend itself readily to repairing and remodeling. When contemplating old house remodeling, perhaps the first thing to determine is whether to repair or remodel, for you may rest assured there is a great difference between the two. To repair an old house is much cheaper than remodeling. The comparative cost of the two operations should be more or less in your mind when you first begin to think of the project. When considering purchasing an old house in order to make it over, examine the building carefully, to determine whether repairing will make it comfortable enough for you and your family, or whether (by reason of the age of the building) more extensive work, such as remodeling, will be required. Collection of old house plans featuring farm house plans, old mansion plans, Victorian house plans, bungalow and Craftsman house plans. Bathroom gallery highlighting bathroom designs and fixtures that modernize old houses baths without sacrificing the charm of period houses. This is the ultimate old house makeover. 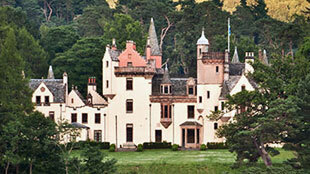 See before and after pictures of an extensive Scottish Baronial Castle and Estate restoration. Thinking of adding some hardwood parquet floors to your house remodel? How to pick the perfect parquet flooring design. 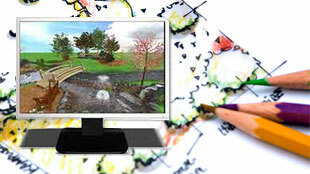 If your want to take your garden design to the next level then find a free landscape design software download. 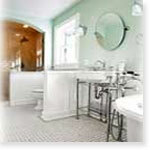 You can highlight bathroom fixtures that modernize old houses baths without sacrificing the charm of days gone by. The passion for flowers and the love of their color is to be seen more than anywhere else in the English cottage garden..
Guide to the traditional kitchen garden. 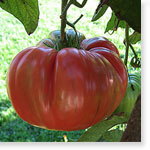 You can use an online garden planner to create customized vegetable garden plans. Then try to find out how much it will cost to do the work before buying. If you already own the old home, estimate cost of repairing or remodeling before you jump into the actual work, in order to see if the remodeling home would be worth the additional investment. Or the other hand, when a remodeled house is worth more in dollars than a house of similar size and equipment would cost new, you should proceed with the home improvement project. Repairing an old house is a less drastic step than remodeling. 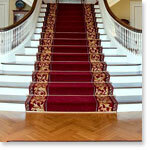 Repairs, in the mind of a builder or architect, do not usually imply a large amount of new work. Repairing, as generally understood by experts, does not involve changing partitions, building new wings, constructing a new roof, cutting through new windows, and countless other work which more or less wrecks an the original old structure. 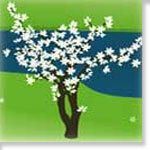 Design the perfect old-fashioned garden online with virtual garden tools. 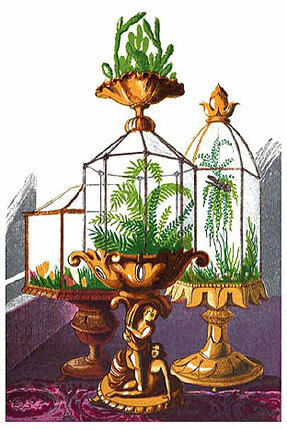 You can even plan a Victorian rose garden. 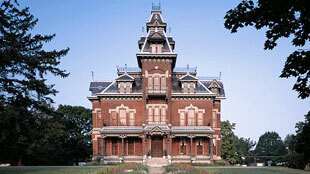 Restoring the garden at your Victorian home? Explore photos of Victorian gardens for inspiration for design and decor. Explore hundreds of photos of old houses, Victorian homes and interior pictures for inspiration for your next remodeling project. In remodeling, one expects to tear off and destroy much of the old structure, building a new roof, increasing or decreasing size of rooms and providing new ones, building new wings, new porches, new stairs, and furnishing new plumbing and heating—all those things, in fact, which you expect in a new house, and which will make your remodeled home practically a new one. Unless an owner has had considerable experience, it is usually best to secure expert advice before deciding upon a remodeling or repairing operation. Consultation with an architect or builder to draw up a schedule of work required to modernize an old house is of greatest value in determining the approximate cost of the work. Then it can be determined whether the work will pay. Almost any builder will examine without charge an old house, and estimate the cost of converting it into the sort of home you wish. Of course, his figures are not absolutely accurate, because it is very difficult to state just how much a certain job will cost, especially in a house which may need more or less repairing in places not visible upon cursory examination. Nevertheless, one can get close enough to the cost to make such an estimate of great value. To be on the safe side, it is well to allow an additional budget for those contingencies that so often come up when remodeling. 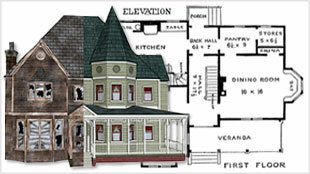 No one should embark on a home remodel without an accurate set of plans to work with. In other words, give great study to your pattern before you "cut the cloth," for only in this way can you keep the cost down to the estimate. When plans are poor, you keep making changes as you go along, and "extras" pile up to increase the cost. With good plans, every point having been carefully considered and approved before work is started, you are less likely to make changes. This is always the most economical way to build.